Hello everyone, I am new to this. 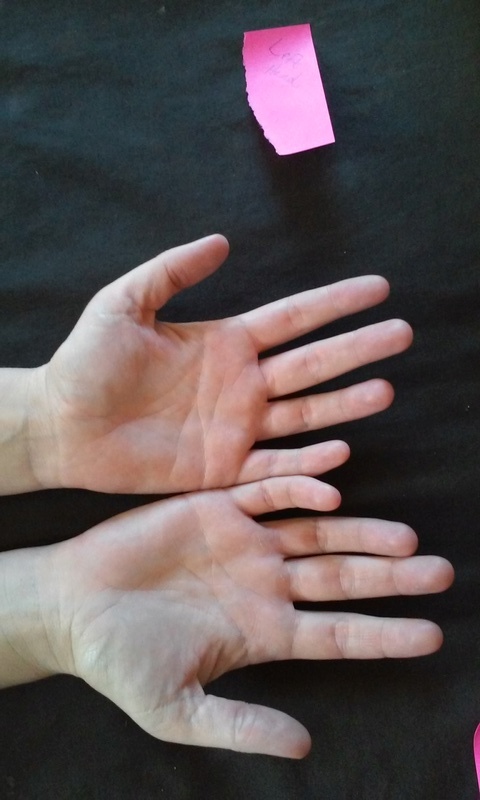 I have always found Palmistry to be a facinating art and recently I have been dedicating more of my time to learning how to read palms. I have been researching for days and came across this forum. My hands don't seem to match any markings I have found in books. 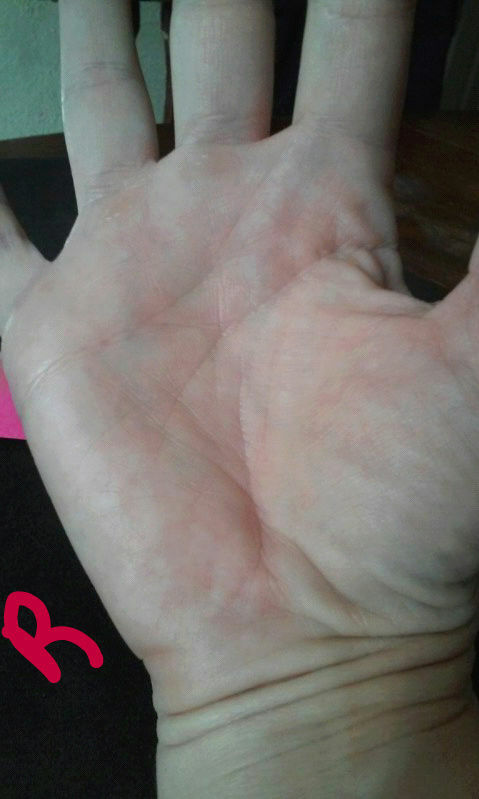 I suspect that I have double quasi-simian lines but I can also clearly see a heart and head line on both hands. In addition, my Life line appears to Join my Saturn line on both hands. 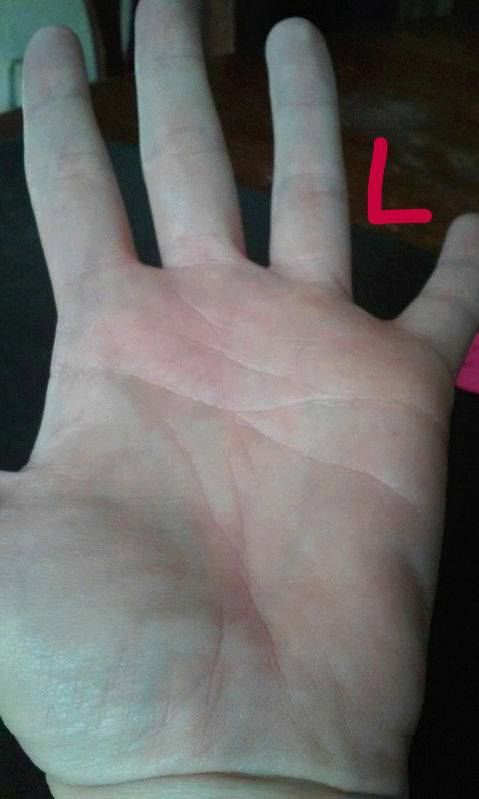 I need some help identifying the lines in my hand. I really want to learn this but I feel I need some guidance from experienced readers. Any help is welcome! pictures are not clear. Post clear closeups of both palms. Are these better? I apologize I am on a mobile. the line joining heart and head line forms a partial simian. It is more obvious on left than on right. It has been discussed a lot on this forum. you can easily find it if you do a keyword search. life line does not join saturn line. In right hand, saturn line replaces part of the life line. This is seen in many hands, it is normal. In left hand, there is a line going from life line towards the moon mount. I think it is going past saturn line but picture is not totally clear so can't be sure. your life line and saturn line are in the normal range. learner wrote: the line joining heart and head line forms a partial simian. It is more obvious on left than on right. It has been discussed a lot on this forum. you can easily find it if you do a keyword search. Bedside line the pinky finger is the most interesting its short and bent . which gives a tendency of faith . You may not be able to speak your heart out or some time unable to find answers . Thank you very much, I can see how they are partial simian. Both of my brothers also have partials. I have looked at several of the discussions and it seems that the meaning of a partial simian is added intensity? How can you tell which line (head or heart) it adds the intensity to? I do have strong faith as well, but rarely voice my true thoughts. I believe next I should learn about the shape of the hand, (fire, earth...) as I have seen many refrences to that and it seems like it gives greater perspective. I truly appreciate the help!